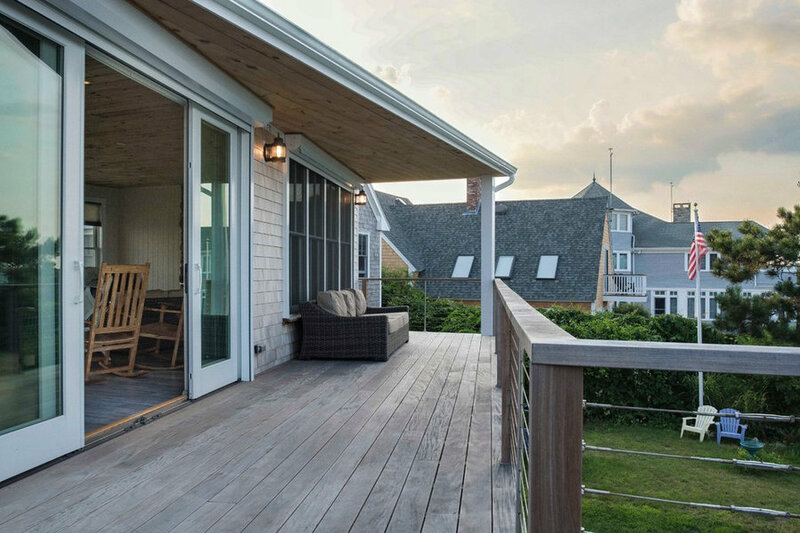 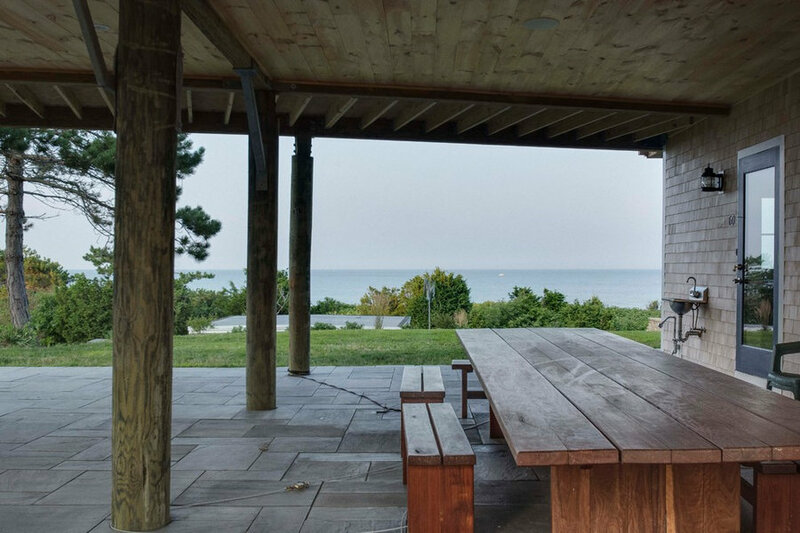 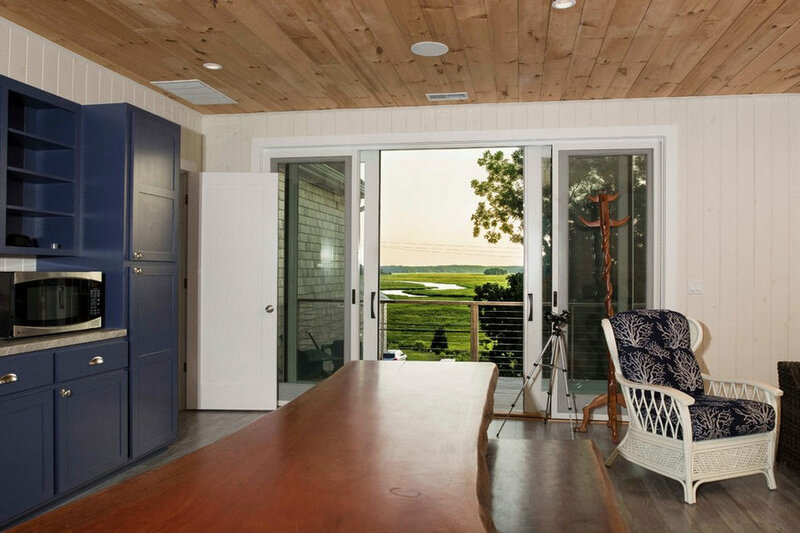 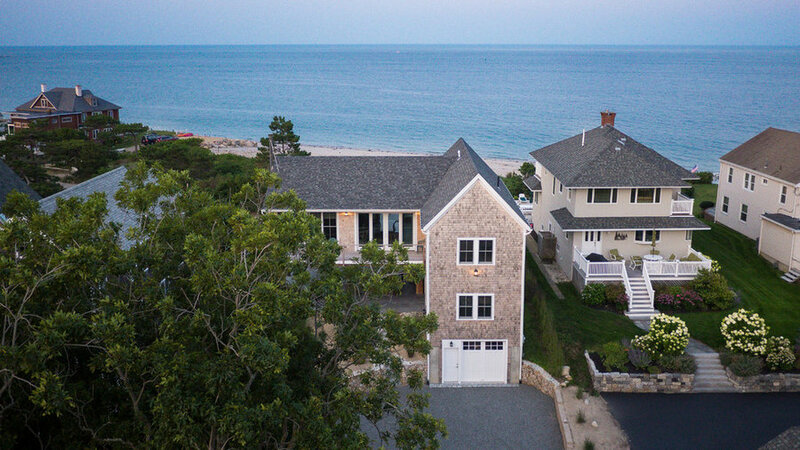 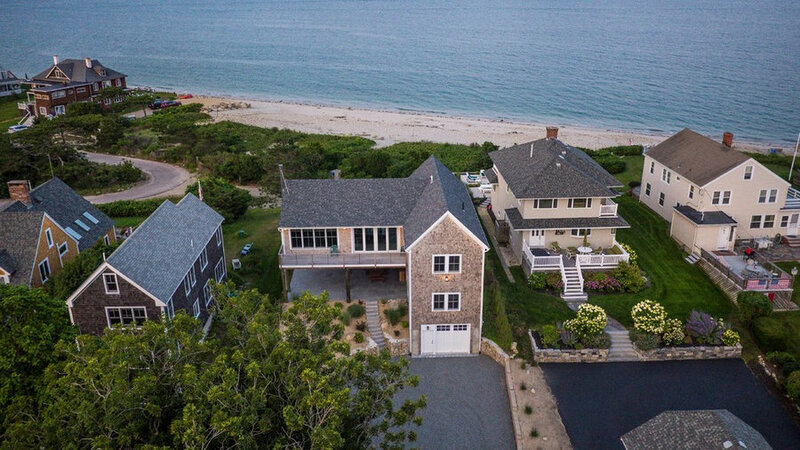 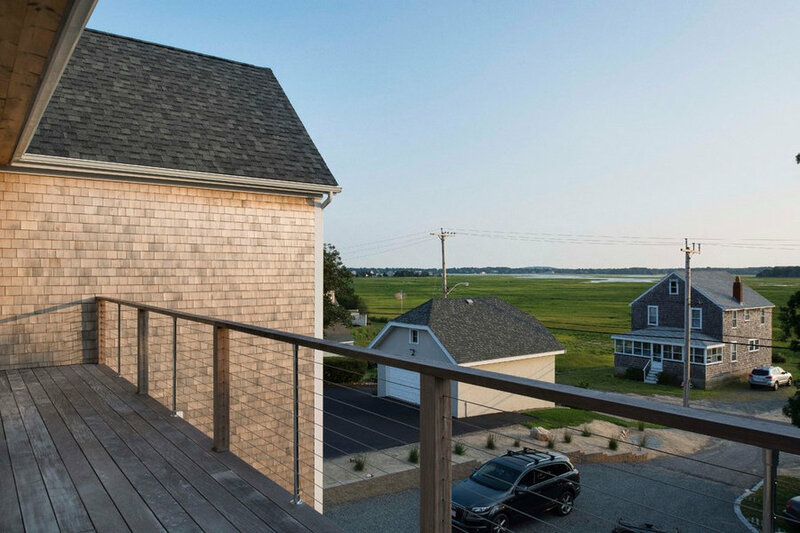 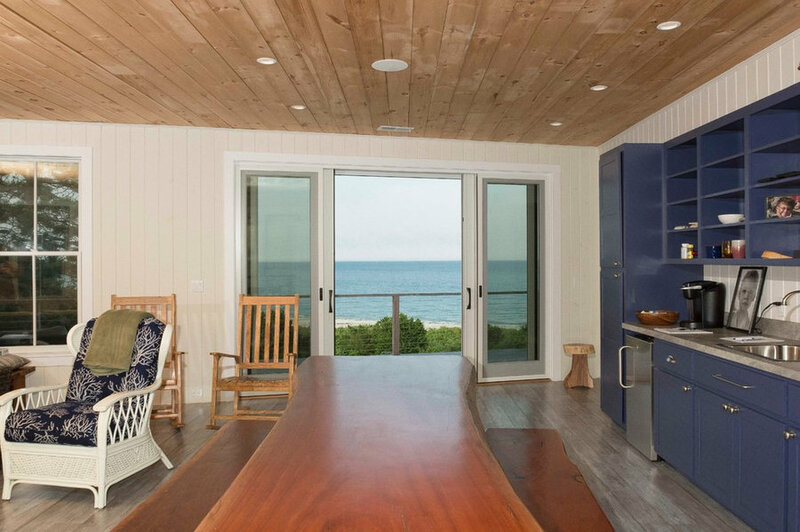 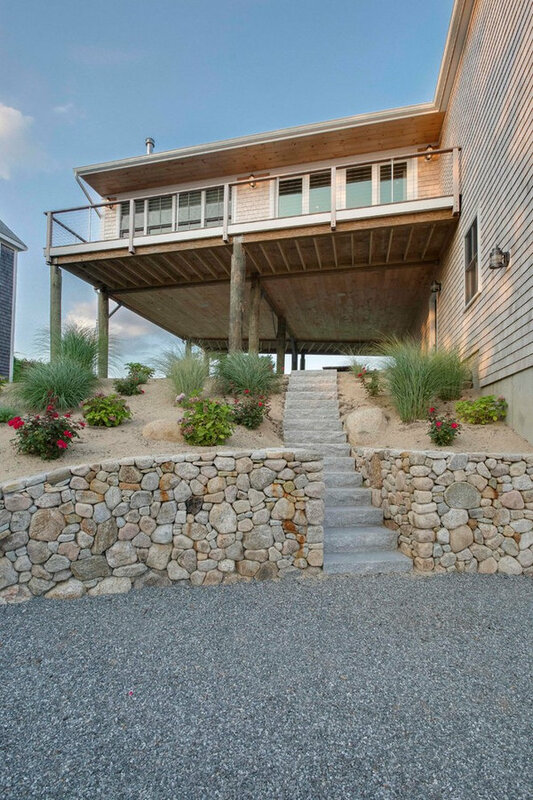 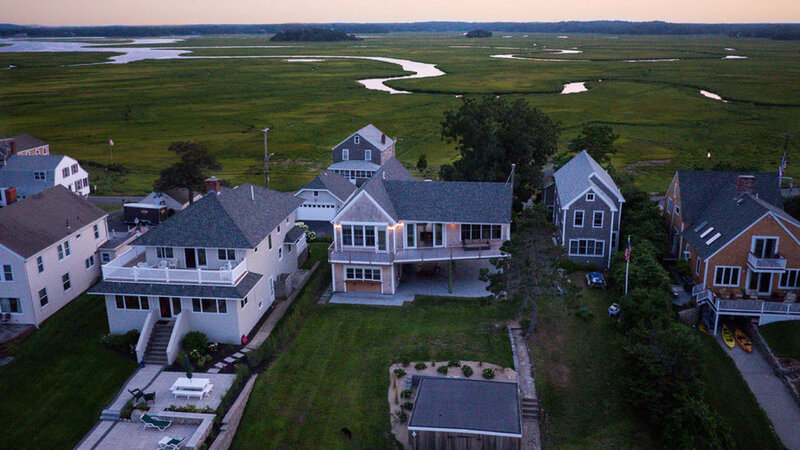 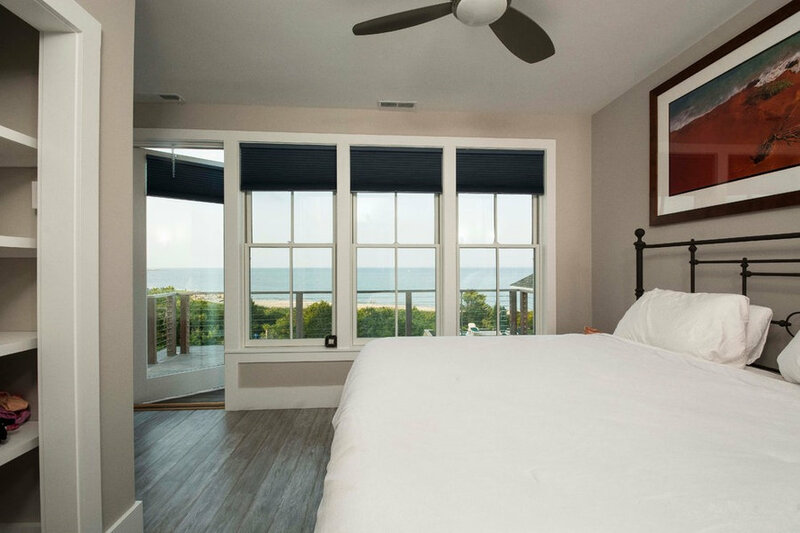 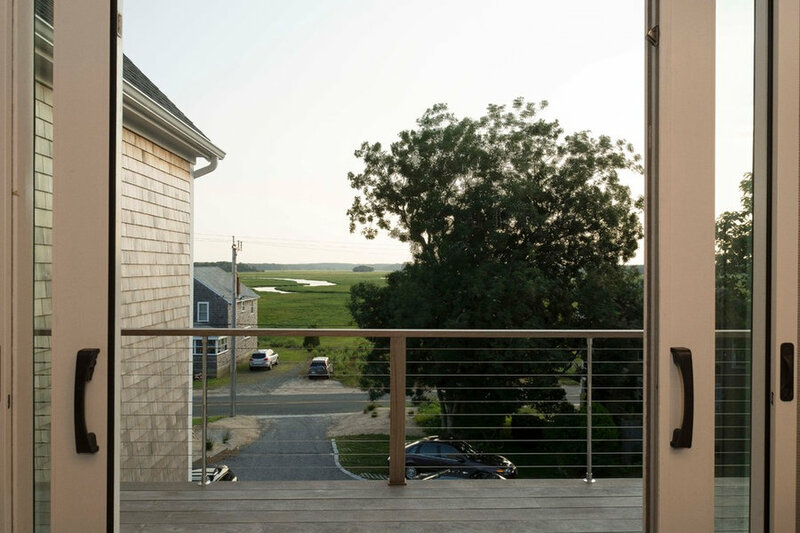 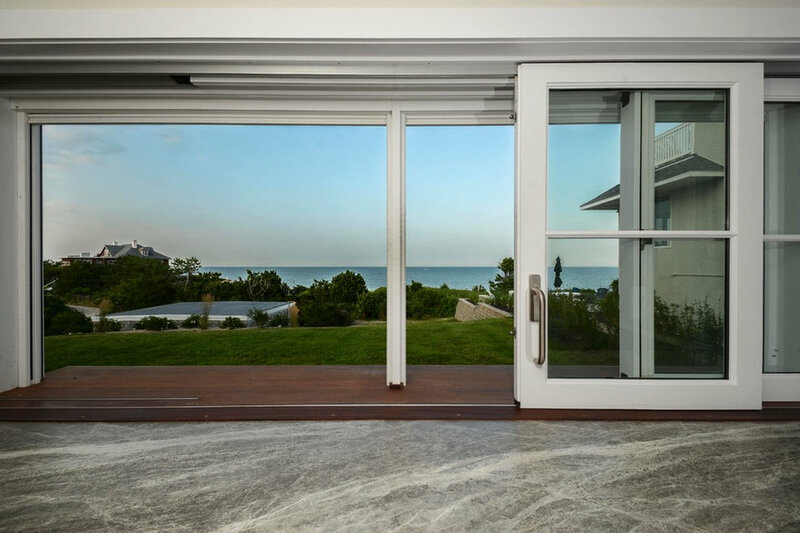 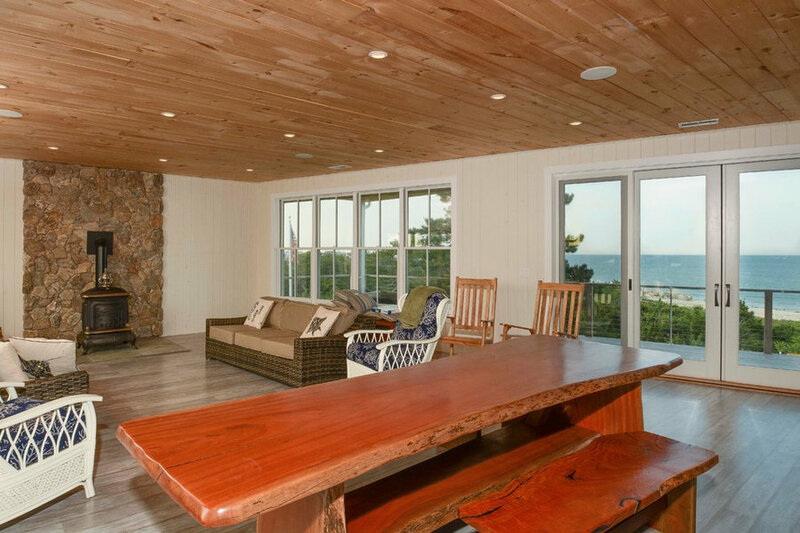 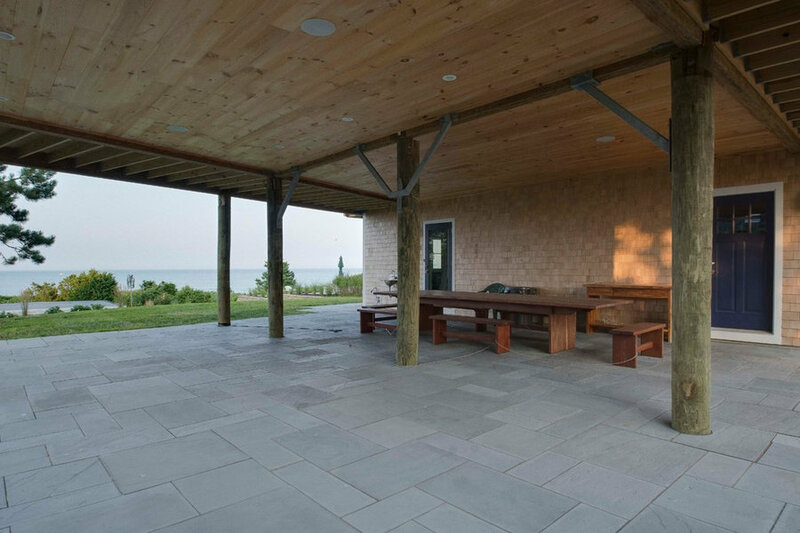 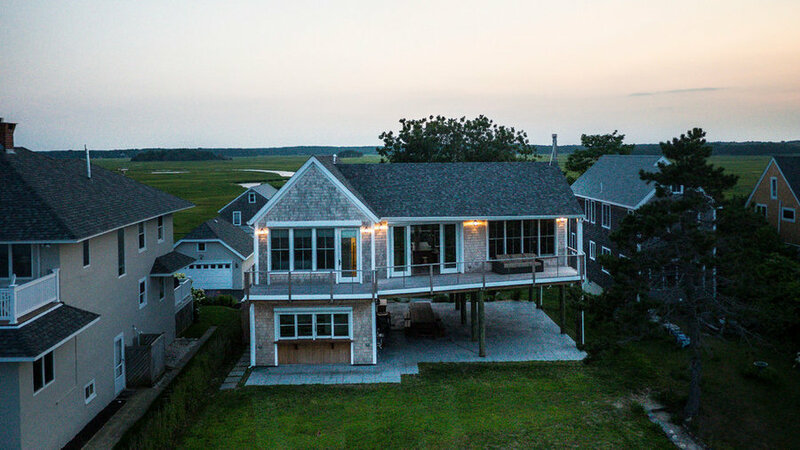 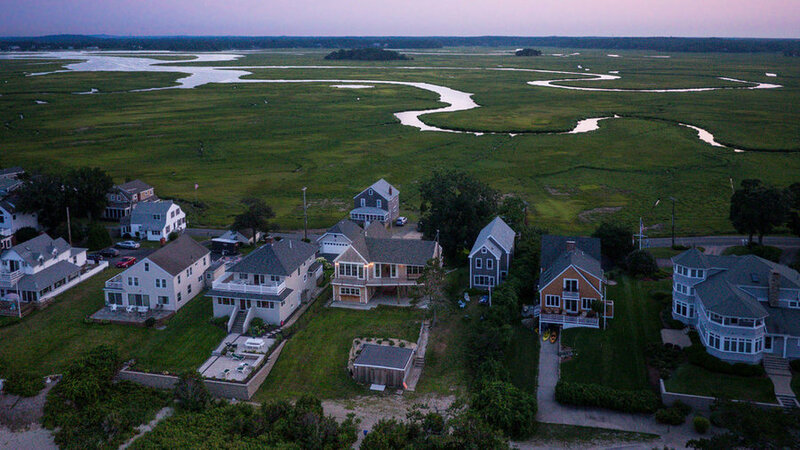 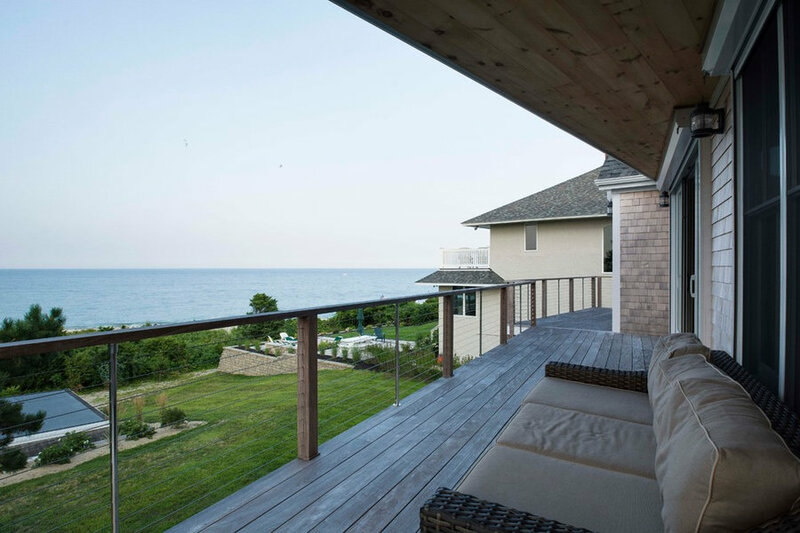 We designed this custom beach house to take advantage of views of marsh on one side and the ocean on the other. 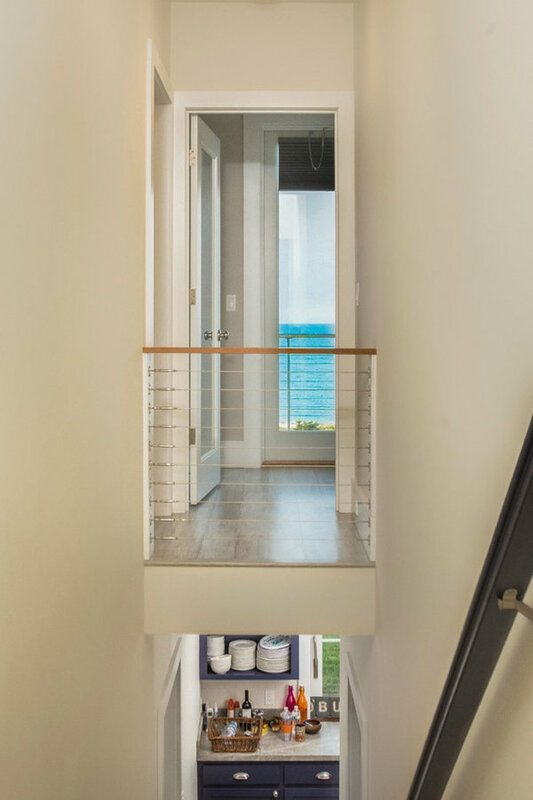 It sleeps 18 and has kitchens on 2 floors. 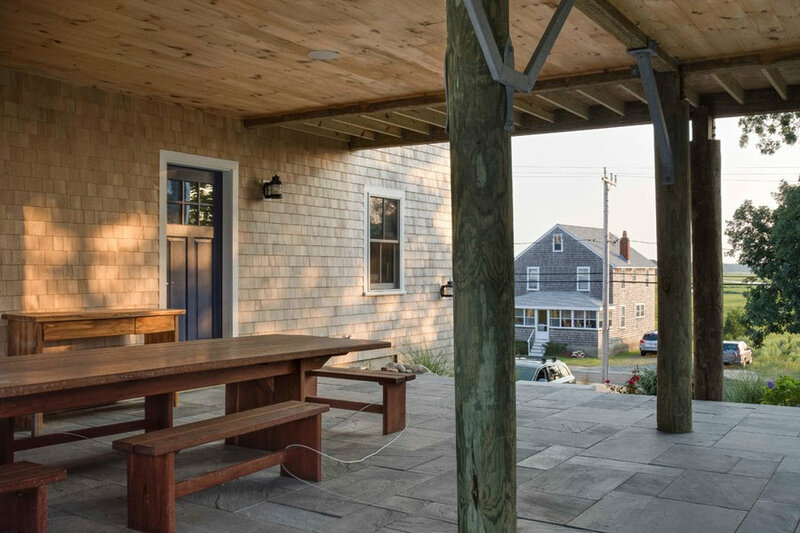 It has a large covered patio for family dinners and escaping from the sun.